It could be tempting to just dive right in and hire the first pool company you talk to, but it’s important that you get it right the first time. While sitting down with pool contractors for the first time can be overwhelming since you will be discussing a lot of things. An experienced pool company will be skilled in guiding you through the process with as little stress as possible. How much is the real deal? If you have already done your research, you’re probably aware that the cost of an inground pool regardless of size, shape, and type will cost no less than $10,000. Once you begin adding on extra features and landscaping, the cost could reach closer to $65,000 and up. But an expert pool builder will be able to guide you on how you can most efficiently and effectively use your budget while still achieving the backyard that aligns with your vision. Safety issues and local laws could play a part in the realization of your vision, and these will add costs to the primary cost of your pool plan. Fencing—in some locations, fencing is a must. Generally, a pool fence is a significant element of safety, and it is likely to be considered a requirement if you have small children in the family. Cover—the primary role of a cover is to protect the clean water from falling leaves and other uncontrolled dirt. Some covers can provide additional safety features. Heater—a swimming pool without a heater can reduce the amount of time in which you and your family can spend in it. However, it is not a necessity. A trustworthy pool contractor will make sure that the price of your swimming pool project is not padded with fluff that’s intended just to inflate the cost. 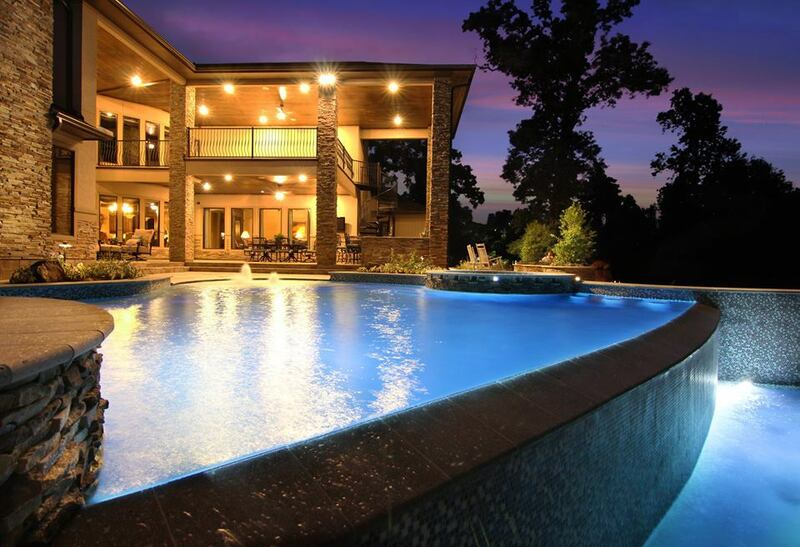 With TLC Outdoor Living, we make sure that you got everything you need for the entire swimming pool building project. If you put your trust in us, we ensure that the job gets done by professionals who have a reputation for excellence, and will treat your investment like their own. Call us now, and we will be delighted to hear about your vision.